Does Marie Kondo bring you joy? The recent explosion of Marie Kondo in the media due to her Netflix series and book the Art of Tidying Up has raised a growing issue in our society – the accumulation of stuff. But will keeping only what brings you joy, actually “bring you joy”? Betty had approx. 70 white shirts. She was in her 80’s, retired for years, had way too much stuff, so much that it was a hazard in her home. I started to work through all these white shirts with Betty, and each shirt brought her joy. She was unwilling to part with any of them! Sadly this technique did not work for Betty. 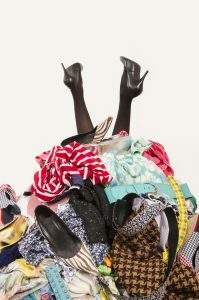 While Marie Kondo’s techniques may work for some, they may not work for others, particularly for people like Betty whose challenge is more about difficulty making decisions, or possibly there may be some cognitive decline which further will hamper her ability to make decisions and thus let stuff go. I spoke to approx. 55 senior adults at a Probus meeting in Doncaster last week, and when I asked them whether they had heard of Marie Kondo only 3 of them said they had. That’s an improvement on previous groups from last year who had never heard of her. So my suspicion is that her approach and techniques work best for a younger age group. So can Marie Kondo help you? If you get just one tip or technique from her book or Netflix series that helps and motivates you, then YES her methods may get you on track to letting go of the unnecessary. But if you already have clothes piled high on your bed, in various wardrobes all over your house, and anywhere there is room, then her technique of piling all your clothes on the bed to sort is definitely not going to be effective! You will need a giant sized bed!